Reflective shorts for your early-morning jogs or your late-night runs. These men's slim-fitting shorts are made of four-way stretch woven material for mobility and Speedwick fabric to keep you cool and dry. 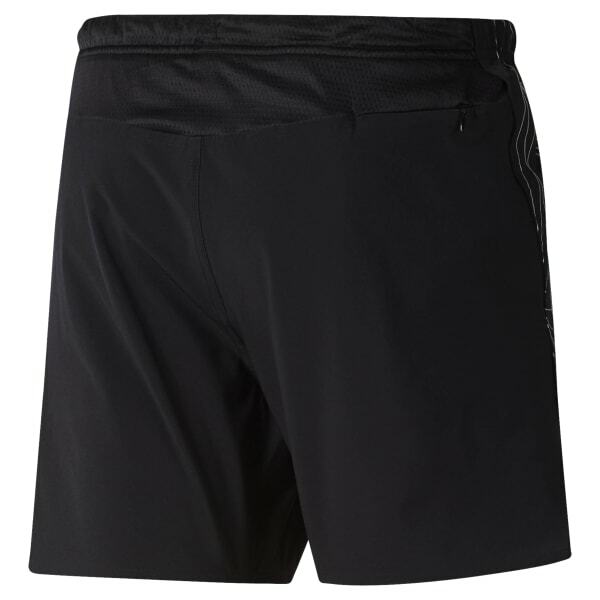 An elastic waist provides a secure fit, while the web-like design on the leg flashes sporty style.